It’s nice to be noticed. I feel really lucky to have a big community of people reading my blog and commenting on it and on Facebook. I thought I’d share some of the awesome notes I’ve received from the community, from parents, teachers and kids who like what I’m doing, and who are supportive. Here’s a couple. I just want to thank you for what you are doing here. I am a mom of a son who has ADHD. I also have ADHD and going through it as a mom knowing what my son is feeling is heartbreaking and so much work that is worth it and I am at my wits end with school issues for him. He is such a strong loving smart boy and I am very excited to show him this website when he comes home from school today. So thank you from the bottom of my heart for speaking out on a topic that is not taught to our teachers for the classroom. I look forward to keeping up with articles and blogs and maybe my son Uriah will want to share some things. Thanks…. I want you to know that it makes me really happy to get these messages and it gives me motivation to keep going. 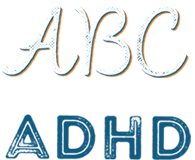 I never thought that so many people would know about ADHD and that so many kids have it. I did know that I don’t want other kids to be treated as badly as I have been at school and in the community so that is why I wanted to make this web site. I print your posts and hacks and give them to both of my sons. You also help me understand their world and struggles since I don’t have them myself. Love this and so glad you started this group/website. My son had a fantastic pre-school teacher that was able to communicate to me that my son was different, leading me to seek help and after 2 years, he was diagnosed. A year later I was also diagnosed, which explained why I didn’t notice anything different about my son. He is so much like me that he was “normal” to me, at least my kind of normal. Keep up the great work. If there is anything I can do to make it better please let me know. I am working on this website and my schooling at the same time and don’t always respond as fast as I should. Just know I’m doing my best and that I read your comments and messages and stories. I know life can be better for kids with ADHD. I think I can help a bit by telling my story.